"Do you know what a chameleon is, Jamie? It's the name of a small animal, a lizard that can change it's colour to merge with it's background. But it's a name that could equally be applied to people as well. People who change their personalities to suit their own ends. Budget Tours. Young people between the ages of eighteen and twenty-five. Oh yes, there's something strange going on here." "Polly" says her name is Michelle and she comes from Sweden which she demonstrates with her passport and work permit. The Commandant is satisfied and wants the Doctor & Jamie detained but they make a run for it. Blade & Spencer's patient is suffocating but Nurse Pinto arrives to assist wanting to know why they were twenty minutes late. Technician Meadows is lying in the medical centre too: devices are attached to the patient's and his heads. The Doctor & Jamie hide behind papers in the airport: the Doctor has found an advert for Chameleon tours that interests him. In the medical centre, the patient's face changes to become Meadows. He sits up, has his senses calibrated and is tested on his recall of Meadows memory. Ben finds the Doctor & Jamie: they have another go at questioning "Polly" during which time she lets slip about the body before being summoned by Captain Blade. Inspector Crossland, from Scotland Yard, arrives seeking his colleague Inspector Gascgoine who has disappeared. Neither the Commandant or Miss Rook his assistant know where he is. The Doctor and his friends split up: he goes to talk to the Commandant, Ben to the hanger while Jamie watches "Polly"/Michelle. While there Liverpudlian Samantha Briggs arrives wanting to know what's happened to her brother Brian who has disappeared after taking a Chameleon Tour to Rome. She's had one post card but he's overdue and there's no trace of him in the hotels. Jamie befriends her. The Doctor's chat with the Commandant goes badly and he flees the control room. Ben discovers a crate with Polly in it in the Chameleon hanger and calls the control room for help. The Doctor has entered the now deserted Chameleon Tours office behind the check in desk and discovers a monitor on which he observes Ben who is rendered unconscious by a futuristic pen like device wielded by Spencer. He also finds postcards and foreign stamps. Crossland finds Jenkins at passport control but Jenkins doesn't recognise the photos of Brian Briggs & Gascgoine. He does mention the incident with the reported body earlier and gives Crossland a description of the Doctor & Jamie. A new Chameleon tours rep hands out postcards to the next group of travellers for them to write before they leave causing Samantha to realise Brian's postcard must have been written before he left and posted by someone else. The Doctor arrives at the hanger, finds the pen device and then Meadow's body in a crate. A voice calls out to the Doctor asking for help and saying it's suffocating but as he investigates he is gassed! We're still at the mystery stage of the story, but we now know enough to join up a few of the dots and put together that Chameleon tours are abducting people and replacing them with the "thing" we saw at the start of the episode. Fab moment as the Doctor, Jamie & Ben confer in a photo booth and get their photo taken! Ladies and Gentlemen, a big welcome please for Malcolm Hulke. 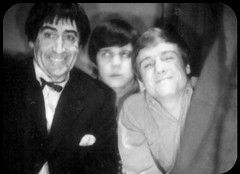 By this stage in his career Hulke was an experienced television writer who'd written science fiction before contributing to Target Luna and Pathfinders with his friend Eric Paice. Hulke had had a previous submission to Doctor Who, The Hidden Planet, rejected as had his writing partner for this story David Ellis who I know little about. 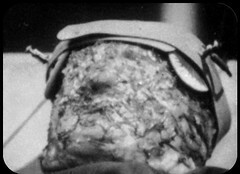 Your attention is drawn to Hulke's 1962 The Avengers Episode The Mauritius Penny which he co-wrote with his lodger at the time future Doctor Who Script Editor Terrance Dicks. They'll co-write on Hulke's next Doctor Who project in a couple of years time, The War Games, after which Hulke will be a regular contributor to the series during the period that Dicks is Script Editor which in turn leads to him novelising several Doctor Who stories for Target Books and co-authoring with Dicks The Making of doctor Who. A recent Doctor Who magazine article revealed some previously unknown detail into Hulke's life courtesy of his declassified MI5 file and an autobiography is forthcoming from Miwk publishing. Sam's played by a young Pauline Collins. She's very much seen as a potential new companion: the Liverpool connection to the still popular Beetles - but the actress turned the show down when offered an extended run. A long acting career, including the starring role in Shirley Valentine, would eventually bring her full circle when she played Queen Victoria in Tooth & Claw to become of the few actors to appear in old and new Doctor Who. 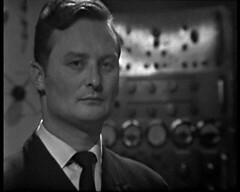 Bernard Kay, as Inspector Crossland, is on his THIRD Who role after Tyler in Dalek Invasion of Earth and Saladdin in The Crusade, He's not done yet either and returns as Caldwell in Colony in Space. Outside of Doctor Who you can see him in the Out of the Unknown episode Come Buttercup, Come Daisy, Come...? as Det. Sgt. 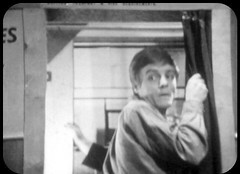 Crouch which is one of the surviving episodes on the Out of the Unknown DVD set. He was in Space: 1999 New Adam New Eve as the Humanoid, Survivors as Sanders in Mad Dog, Future Doctor Who writer Russell T Davies' Century Falls as Richard Naismith and Jonathan Creek Jack in the Box as Oliver with a whole load of other people who've been in Doctor Who. 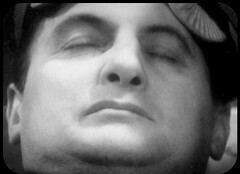 He'd previously acted opposite First Doctor William Hartnell in Carry on Sergeant as an Injured Recruit. He appeared in The Sweeney episode Trap as Thomas as well as playing Matthews in the first Sweeney movie, and was Harry Scott in The Professionals episode When the Heat Cools Off. Toby Hadoke interviewed him for Who's Round #18 and following Kay's death on Christmas Day 2014 released Who's Round #101 which features more of the original interview that had to be cut! Joy Burnett, a Passenger, returns in another when she is an extra in Spearhead from Space. A small amount of 8mm footage recorded off-screen from this episode survives showing the Doctor talking to Polly who seems to be a favourite target of the person who shot the film! Sadly it is the last off-screen film from a missing episode.